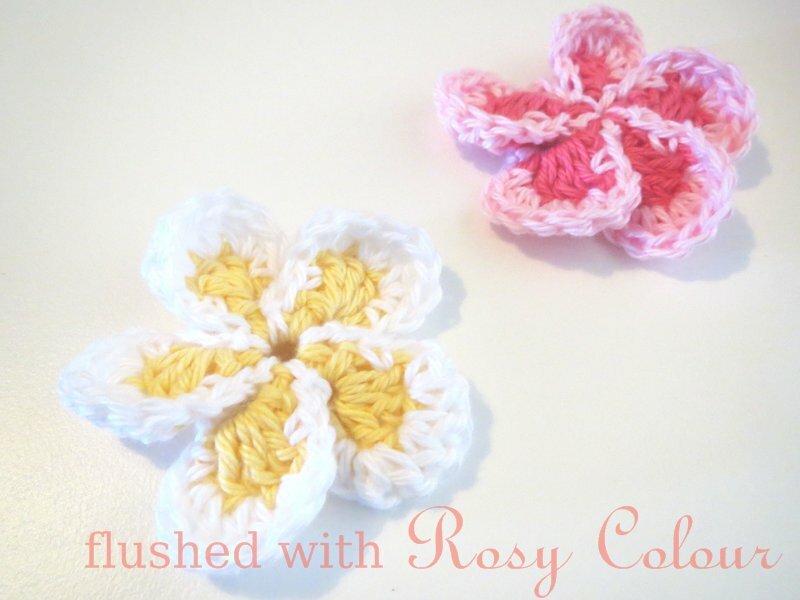 Flushed with Rosy Colour: How did this happen?? 1 Barbie multiplies to 34 in less than 2 years! At the beginning of 2010, I was reconsidering my choice to be child free, I was also grieving the loss of my old life. In some ways, the loss of my childhood Barbie when I was moving around after my divorce symbolised this. It suddenly occured to me that I wanted to buy a new Barbie! It was a very strange inclination I agree, but for some reason I just wanted a new Barbie to replace the old one I lost, to start over again a new life, and I had the excuse I needed it to make clothes for to practice my crochet and sewing! David didn't think it was too much of a crazy idea, so he took me to the K-Mart store and I chose a Fashionista doll. She isn't a collector doll, but not the bottom of the range either. I chose a brunette doll, because when I was a child all my Barbies were blonde and I didn't even know you could get brunettes, so it was nice to get something different and new. Opening the box and taking her out was like being a child all over again! Then somehow, the hobby grew from there and now I have 34 dolls! 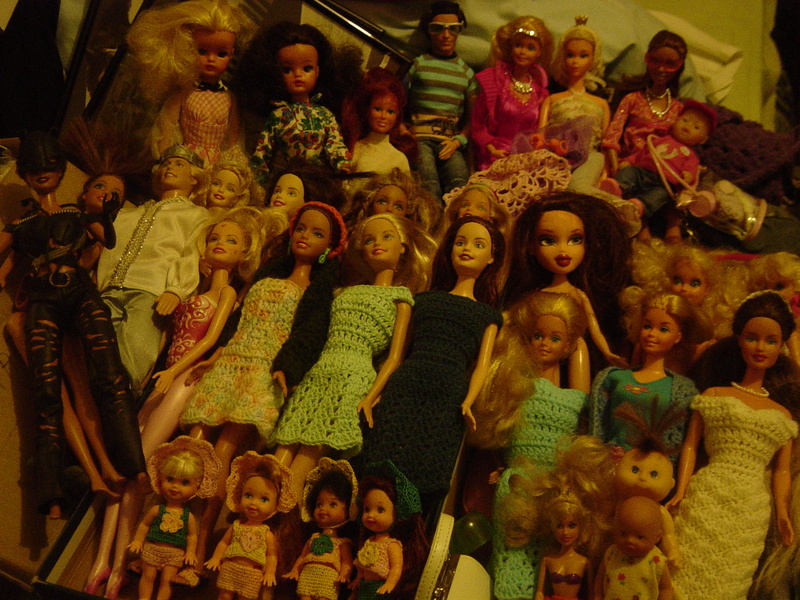 Some were given to me by my mum, a couple of old dolls she found in thrift stores I think, and my sister sent me her daughter's old and broken Barbies. Some others I found in thrift stores and markets for a dollar each, five came with clothes which I got for $3 each, one is in his original outfit. I bought a set of 8 on ebay recently, that included two dolls from my childhood including the one I had to throw in the bin because it got damaged (so sad, especially as I had kept her for so long, until I was in my early 30s). Last year before I got pregnant I was feeling clucky and bought a little mini baby born, and recently I bought a brand new Ken fashionista doll. I think I'd like to keep the 3 dolls I've bought new, and the two vintage dolls I've acquired that are the same from my childhood, so that leaves 29 to find new homes for! I was planning on giving some to charity, but I'm now thinking I'd like to clean them up and make clothes for them all, and see if I can sell them on ebay! I'm not sure I can sell them, but surely a few might? I guess I'll have to try and see! Seeing as I definately do not need 34 dolls!! !